A visit to a beauty salon for waxing can't usually be described as a pleasant experience. 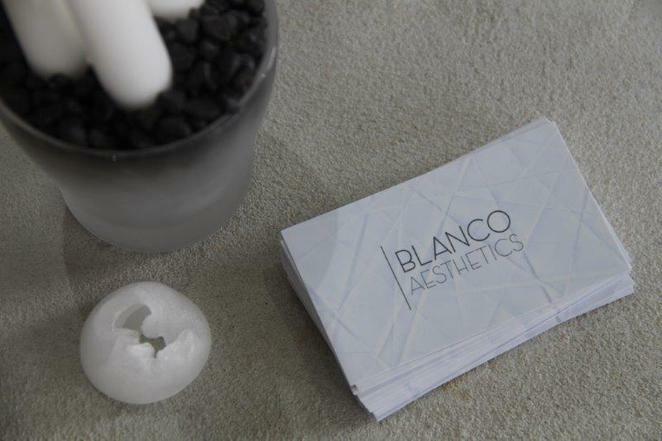 However, whenever I visit Blanco Aesthetics, I do have a very positive and enjoyable time. The beautician and owner here is Carmel and she is both highly professional and delightful. From the minute I step inside the salon, I am greeted with a warm welcoming environment that is light, fragrant and peaceful. The reception area is spacious with much more room for relaxation and discussion than that set aside for administration – which is clearly geared towards clients rather than business. 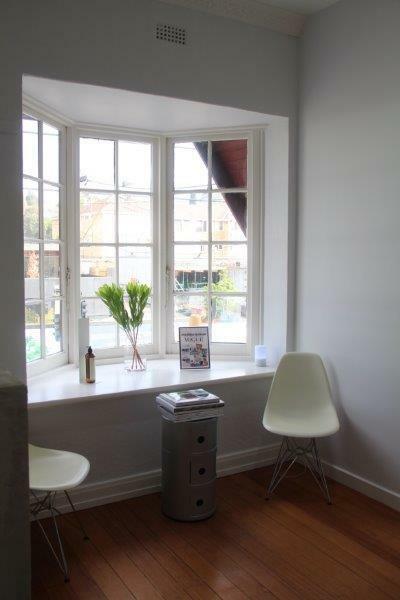 If a client ever needs to wait, which is unusual, the seating is comfortable and in a bright bay window which overlooks the street below. Carmel's receptionist is well groomed, very helpful and discrete. I've never had to wait long enough to enjoy any refreshments during the interim, but I am sure these would be very nice also. 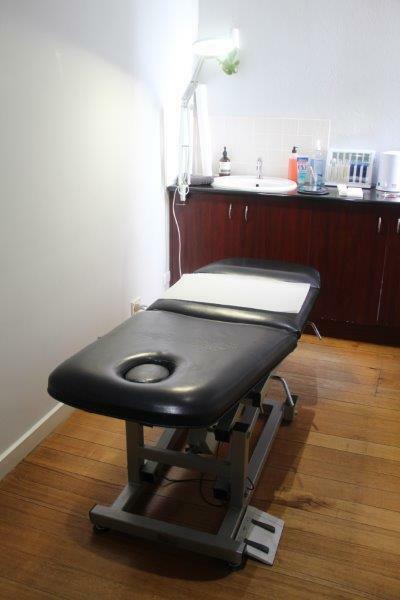 The treatment rooms are pleasant but professional. The salon is not huge, but this adds to the personal nature of my interaction. Each room is set out with a treatment bed, work space for the clinician and an area for me to leave my belongings during treatment. Carmel herself is highly professional. She is attentive, listens to my issues and provides reliable and sensible advice on skin issues. She is particularly knowledgeable about issues related to chemical interaction with skin and ingredients of products. On several occasions she has given me helpful advice on a product to use (or stop using), or something that I can try to address an issue I experience. The range of treatments at Blanco is as I expect at a beautician – they can tan me, wax me, remove my unwanted hair, shape my brows, give me a facial, or tint my brows and lashes. They'll do their best to help me feel and look my best. I love their motto: "We create a "blanc" canvas, you live the art!" Carmel carries out my treatment with deft hands and effective products. She never re-uses any wax and her treatment rooms are always clean. Should I need to lie down for an extended period of time, perhaps during an eyelash tint or facial, she makes sure I am comfortable and warm enough – that is important to me. Carmel always finds time for a chat during my appointment closure, when I pay and rebook – she is just a very nice woman. Booking and rebooking appointments can be done using a range of channels. I can do it in person, of course, at the salon – I can also telephone, contact Blanco on Facebook or use their website to make an appointment. What I like about this range of options is that the channel I use to contact Blanco is the same one they will use to respond, which is really useful. They'll send me a text to remind me of my next appointment – around 36 hours prior, just in case there's any need to reschedule. Carmel is always flexible on this and marvellously adaptable to my timing needs where necessary. Are there any downsides here? … well, the wax itself is just as always, but Carmel doesn't muck around and she is always careful with my skin so the likelihood that there will be any problem as a result of my treatment is very low indeed. Blanco Aesthetics is above the Duesenberg Hair salon in Balwyn, very near the Balwyn Cinema. There is parking in several streets nearby and the salon is right at the pedestrian crossing by the 109 tram stop.